From a pretty cursory look this morning it seems as if an enormous amount of the information we have on children’s bedtime is based on studies done with people who are experiencing serious sleep disorders. This is pretty sad news for our children. It is a mistake to take tips on life from those experiencing the very sharp edge of it. An example of this is the idea that if we get bedtime wrong, ie, wait until the child is sleepy, this will then make them overtired, which will then release cortisol into their system, making it impossible for them to go to sleep. Is this fact or myth? I know that sometimes my older child does seem to get a bit wired before bedtime, and then takes a while to go to sleep. It may happen a couple of times a month. I could interpret this as us “failing” because we let her choose her own bedtime. Or I could just see it as part of her learning about her body, her body’s cues and her body’s response. Many children around the world are given freedom around their bedtime and they get it right, for themselves, 90% of the time. Recognising their sleepiness and asking to go to bed. They do not head into cortisol zone (as even the most gentle of parenting advocates suggest they will). What if the “playing up” so commonly spoken of at bedtime is because our children are not tired enough for bed? Or because they feel worked up because they are heading into the one time in the day where their parent’s stop meeting their needs? Where their fears are not validated, their worries not given chance to be worked out? What is our aim at bedtime? To make sure our child gets enough sleep? Or to stay connected to our child, to nurture our relationship with them? In an ideal world it would be both, of course. If any part of your bedtime routine is causing a disconnect with your child, then it needs to be tackled. And I see so often, in conversation, in magazine articles, in gentle parenting forums, that bedtime is always a battle of wills. I simply want to advocate that bedtime becomes a place of connection, rather than power struggles. As I tried to pull my thoughts together about children’s sleep I realised that bedtime is one area where we don’t trust our instincts. We don’t apply the same respectful or gentle principles to bedtime as we do to the rest of the day/ our child’s behaviour. I guess that is because we are afraid. We’ve heard so much about the cortisol and overtired thing. We’ve heard that all childhood problems come down to a lack of sleep (or screentime! Hehe.) and that not getting bedtime right leads to a life long set of troubles. Considering there are *so* many sleep issues with my generation, and the older generations, who likely had VERY strict boundaries around bedtime, I think this is a load of BS. Now I don’t have the answers. We live in an unschooling bubble where our kids can fully yield to their own natural sleep rhythms because we don’t have a schedule to stick to. In many ways this counts me out of having advice for all parents! This way may not work for you, I totally get that! I’m going to share my ideas on that, in the hope that you will share yours, particularly if you come from a very different place. So what does it look like? I think there is a lot of talking and playing in the hour before sleep. It is one of the key moments in the day, an hour where children get to process the days events and get to connect with mum and dad / mum/ mum and mum/ dad and dad (you get me.) There is plenty of discussion around a child’s feelings of tiredness and the parent’s opinion of how much sleep they need. The child gets to taste the freedom of choosing a later bedtime, and possibly suffering the consequences – say having to get up when they are not ready. They are encouraged to do something nice in their bed, so they want to be there rather than forced to be there, such as audio books. They have supper before bed and a water bottle by their bed. Their parent stays with them, reading a novel or listening to podcasts until they feel safe. I would love to hear your ideas. I beleive we can carve out a new vision of bedtime for our children. I do actually want to be helpful though, rather than giving a list of questions! So here are some of the ways I think we can build a better sleep environment at bedtime. Many of these are based on the idea that, rather than bedtime needing to be a somber affair, laughter and active play are actually vital for helping a child move through the day’s anxiety. What if daddy’s instinct to wrestle with the kids on the bed before storytime is actually a sound one? There is evidence to suggest it is really important. What was your worst part of the day? Something you are thankful for. Play something one to one – in my experience my six year old opens up far more when we are playing something together, either a card game or one of her ipad games. One beautiful way Ramona and I have discovered is using a meditation. It was suggested by Tim’s Uncle and Ramona loves it. She lies down and closes here eyes. I describe a butterfly landing on her nose and waiting there a while, and then it moved onto all the different points of her body and each time it lands she feels warmth and joy and heaviness spread through. We go real slow, with big pauses, and by the time I am at her toes her whole body has sunk in to the mattress and she is fast asleep. If you aren’t confident to lead a meditation yourself check out the many available online. We all know the bedtime stories and the bedtime bath and they are great for some kids. But other’s might enjoy something more hands on, or something different from day to day. How about using some worry dolls together? To pass on to each tiny figure some of the problems of the day? One reason I enjoy my children’s later bedtimes (between 8:30 – 9:45pm) is because there seems to be some sort of magical creative zone that happens after dinner. They begin crafting up and making these wonderful worlds with their colouring pens or lego or whatever. Something feels different about it. Make some paper dolls and treat them like worry dolls, ask the kids to colour or draw in each of their worries on a doll. I used to absolutely hate going to bed. I’m sure it is because my natural rhythm is a late one. My ideal sleeping hours are 11pm to 8am. And I think even when I was a kid I was a night owl. But my favourite bedtime was the one where my mum used to lay with me and describe the dreams I could have. She’d depict me doing something awesome, like going to the funfair, and I would go to sleep with these images in my mind. Kid’s don’t need a daily bath. My children love them so it’s all good. But so many parents cling to the nightly bath even though their children hate it. Forget the homework. If it is making a kid anxious don’t force it. There is an emerging body of evidence against it. Sometimes bedtime has become such a battle of wills that even just starting the bedtime routine causes a kid to be thrown into anxiety. Press the rest button. Go for a long walk together in the evening and then come back and do one of the above little rituals. Magnesium helps us sleep. That’s pretty much a fact. Do your kids have enough of it? Take either through food, an epsom salts bath or a supplement. It’s also suggested that a spoon of honey helps us sleep. The jury is more out on that one, but why not? So much other good shizz in a spoon of honey too! Even wackier is the idea of banana water. Ha. Hard to write that without a little giggle, but *so* many people reckon that boiling a banana and drinking the potassium and magnesium filled tea helps you drop like a stone. 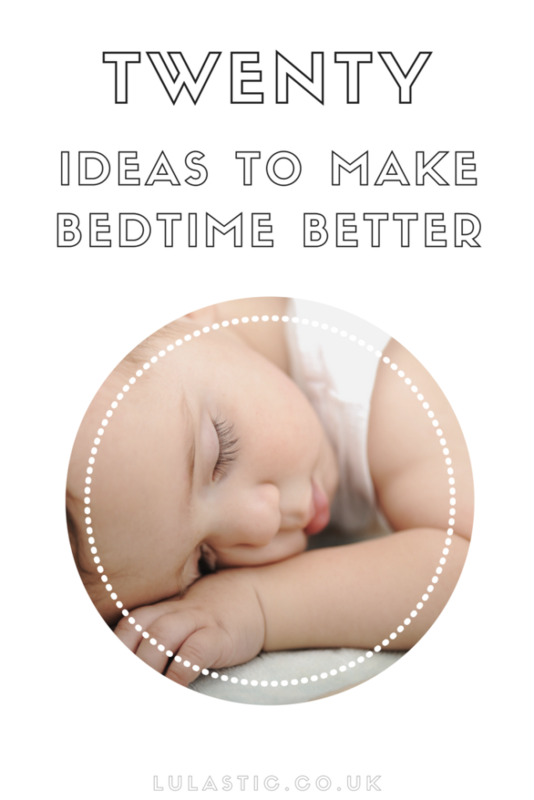 As ever would LOVE to hear your suggestions for alternative ways to make bedtime easier. 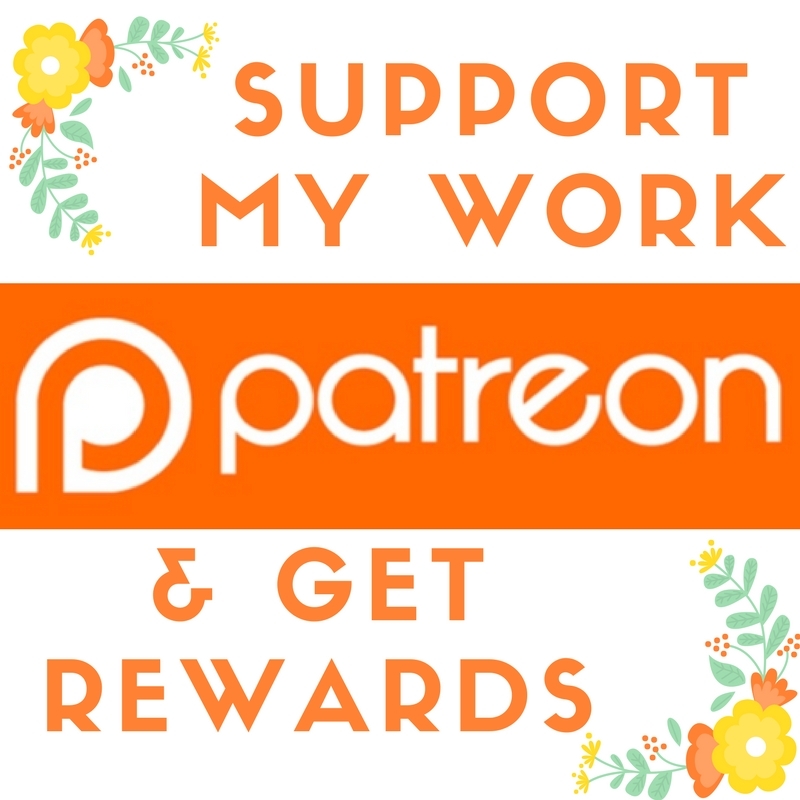 I will add them in to the post so it can become a truly helpful resource. These are wonderful suggestions! My daughter started Kindergarten recently and this has meant that we do have more of a stronger sense of routine, but after 5 years of having connected bedtimes when my daughter was genuinely tired it hasn’t really been a problem. We always do lots of laughter and roughousing, because that increases the sense of connection and helps relaxation. I’ve never believed this thing about cortisol rising if you miss the ‘critical’ moment of bedtime. I find that if children are genuinely relaxed then children can sleep easily whatever the time. So cool, you were doing giggle bedtime before anyone knew it was even a thing! Love it. People get SO obsessed with babies/children’s sleep. We’ve paid attention to what works/doesn’t work for us around bedtime. My 2 yo cannot have a showroom just before bed cos he goes crazy with naked runs but loves rough housing with dad. Loves books too and now he can use the toilet he likes to have a 15 min sit and chat on the toilet before bed too. Thanks for the audiobook idea. I hadn’t thought of that and it was perfect for an tired but awake little boy tonight. We are really lucky we have a park 5 minutes walk away that has a playground, a river with a jetty and lots of lovely paths to walk and ride bikes on. So sometime after dinner and before bed time we go there as a family for a play, a bike ride or a kayak most nights. It’s a lovely time where we have fun together and burn off some energy. Some nights they have baths, some nights we make things with duplo, some nights we do one of the meditations on Daddy’s phone. Every night they have stories in bed with at least one parent, drink bottles by beds and often a piece of apple to eat. Ah, yay, so glad something did the trick! Very excited to discuss this. We live in a cold, mean Victorian house, (would love to move but everything is so crap after Brexit). I think open plan really is best for family closeness. When my lg is ill or very interrupted, she sleeps on the sofas in the lounge or dining room. I’m convinced this helps her to get better faster. I also had a miserable time with sleep in the beginning 3 years. She was up at 4.30-5 most mornings. Accepting that, and dragging bedtime to 11 hours before was an absolute revelation. Boring and we could never see anyone in the evening, but worth it for how much easier we got on. I know my little girl needs a lot of sleep to stay well. I know she needs a lot of sleep for me to stay well. I know she needs a lot of sleep to process stuff, because I watch her processing it in her sleep. I never let her fall asleep without holding my hand. But I do get grumpy about all the messing about. Mostly because she’s so vile to eat dinner with, that I end up being hungry because I’m waiting for a moment to eat more consciously after she’s gone to sleep. I’m basically hangry. I’ve dropped bathtime a long time ago. It is absolutely not relaxing for her. I feed her carbs before bed – mostly pasta. I give her multivitamins at lunchtime because all the buffers in them make her hyper. I’ve also seen the creative groove thing. My thoughts so far. Must dash! Thank you for writing about this Lucy. I think there is a huge amount of unnecessary anxiety and control-freakiness about children’s sleep (just like about their eating habits, but that’s another post perhaps!) and we really need to let go of it. We stopped any sort of fixed bedtime when my son was about 18 months, as we realized how nuts it was that we were lying on the floor for an hour in the dark every night, waiting for him to go to sleep. Now our approach is just “everyone does what they feel like”! It absolutely works with a standard school routine: we eat dinner together because everyone happens to come home hungry, then we just do quiet evening-y things and keep the lights low. I usually want to curl up under a blanket and knit, but I make it clear my son is more than welcome to bring a book and curl up with me. He almost always does, chats and reads then falls asleep next to me while I’m still doing my thing too. If he’s not ready he’ll also often go off and craft. We only have one rule: keep the noise down because we live above an elderly lady who likes to go to sleep early. It’s completely stress-free and he is rarely awake beyond 7.30 pm – a very classic English bedtime for kids! So nice! Yes, once you let go it does all suddenly seem so liberated! Hi, I love your ideas. I know I find the evening meal to bedtime part if the day a bit of a bore at times and it can just feel like one chore after another before finally collapsing for the evening. So I am going to take on board your suggestions. My children go to school (their choice) so I do feel I need to try and ensure they get into bed at a time that allows them to get enough sleep (however much that is?!). They used to fall asleep fairly quickly until around this time last year when they just stopped sleeping in the evenings! It happened overnight (in the same way my youngest suddenly gave up her naps). When I say stop sleeping I mean it generally takes them well over an hour to get to sleep, sometimes they are still awake 2 hours after going to bed. I used to stress about it, look up how much they should be sleeping, read advise, talk to friends about it. Now I try not to worry. They go to bed at 8pm (I have tried later but this doesn’t normally mean they sleep any quicker) they can read or play on their bed. In reality they often talk for ages, often across the landing, sometimes in each other’s room. Sometimes they come downstairs, I try to react calmly (sometimes I am a bit grumpy, I will try and remind myself not to be). I talk to them about the importance of sleep and try to do things that might help such as reading and story before bed, lavender on their pillow and meditation. They always need waking for school but seem, in the main, to manage. I am trying in my own way to encourage sleep but give them some responsibility and me not too much stress. I have a daughter, nearly 4, and a 4 month old daughter. When I had my first little girl I had no idea about babies really. I thought the whole idea of routines to be pretty silly, and that she should be able to sleep when she liked. Long story short, I have completely reversed my opinion. I didn’t sleep properly (and neither did she) for over a year. At about 1.5 years we settled into a routine of bedtime at 8pm and a nap after lunch. She doesn’t nap any more as she started to hate it so I took this as a sign she didn’t need to. But I have to say I am surprised about the regular bedtime thing. I know from experience that if I keep her up late she will either become very difficult or have a full blown tantrum because she is so tired. She also has unsettled sleep and will often wake much earlier if she goes to bed late. She is out like a light at 8pm. Trust me, this is the opposite of my initial approach. And I have friends who let their kids stay up late for meals / family evenings etc and so many times I have seen the children act difficult and get told off for being rude, badly behaved etc. I find it hard to watch. To me the child is clearly tired. (Like the HALT thing you posted about). And I have to wonder whether the parents who adopt this approach do so because there is an element of maintaining your own freedom and flexibility in the evenings, that you would not have if you had a regular bedtime for your child. Sometimes I think that is not fair on the child. With my 4 month old I am much more attuned to her as she is my second, and she definitely had her own rhythms of wanting quiet time / sleep between 8-9pm from very early on. I wonder whether my first daughter displayed such behaviour and maybe I didn’t notice. I just le her fall asleep in the living room or pram as it was easier for me? I don’t think there’s anything wrong with a parent helping their child follow their own sleep patterns by enabling them to go to sleep. Or helping them to recognise their bodily signals of being tired. Oh and I had no idea about the cortisol thing! I do have a problem with the idea that we can just impose a bedtime though – I wonder if part of the reason we are like this is because Ramona responds *zilch* to anything being imposed. It would lead to disharmony in our family. So a few times a month we do have a tired girl, but it doesn’t come at the expense of the disconnection that would come if we imposed something. I also do think some kids need more help than others recognising what their body is telling them and then getting what it needs. My eldest (4) gets uncomfortable and his behaviour quickly becomes unbearable if we don’t help him fast enough (shouting, throwing himself around, hitting and pushing us and other kids, ending up in tantrums and hurting himself). He needs help working out what is wrong – hunger, tiredness, needs to play away from his sisters etc and he needs help to actually sit and eat or sit and read with someone or to actually go into his room and close the bottom door (we split his door so he can play without his sisters getting in but without being shut away from everyone). It probably looks a lot like we are imposing on him but we can’t ignore what his behaviour is telling us. And he is not the only one to suffer the natural consequences of staying up too late – spending 1.5 hours helping him calm down and get to sleep cos we listened to his words (I don’t want to….) rather than his behaviour is actually unpleasant for everyone. When my youngest two (2) get uncomfortable they seem to naturally know what to do, asking for food (“hungry”) or a book (“wanna book) or lying down and asking for a blanket! They don’t get anywhere near as frantic as he does. I think there is a vast difference in how kids behave when they’re uncomfortable and it really affects how a family can arrange their days. I also think it’s better to impose a bedtime where the kids might end up lying in bed for half an hour before they fall asleep if the alternative is a massive mama meltdown! We have just adjusted our evenings so the kids watch TV for half an hour while I get dinner ready for 4pm. We were doing dinner at 5pm but it had been getting terribly fraught. Now from after dinner til bed around 630-7pm there is heaps more calm, constructive play and it is such a relief. We do toast just before bed to make sure they’re full for the night. Our eldest is an “amplifier”, he winds up instead of down so we do impose a bedtime with books read in bed and then music playing while he goes to sleep with or without someone in the room with him (he is 4). He was an appalling sleeper as a baby – preferred to sleep held in arms, otherwise woke every 1.5 hours til he was about 13 months old, then graduated to 3 hours at a time and slowly moved to only waking now if he gets the bed wet or has sore legs. We limit drinks after an hour before bedtime so he can get through the night with a 9pm sleepwalk to the toilet. The girls wind down but since they sleep in the same room we impose the same bedtime, with books and music too. I was getting super frustrated waiting up to 1.5 hours in the room with them to sleep so now stay for three songs and then sit outside the door loudly turning book pages so they can hear me and they usually both get to sleep faster. Sometimes if one is still awake I go in and sit with her. They wake 3 or 4 times a night between them (they are 2) although one would sleep through if her sister didn’t wake her up, but we don’t have enough rooms for them to have their own. They cannot bed share with me, they get super angry about sharing me so no one sleeps. They are awake from 530am, the boy now sleeps til at around 6 most mornings. The only problem with our bedtimes us that both of us need to be home. The few times since the girls were born that my partner had had to be away at bedtime, my parents have come to sit with my son while I put the girls to bed. They have never tried to get him to bed, he is pretty wild when he’s tired. Most of the time we are happy with what we consider to be a gentle and generally happy bedtime routine but I do wish we could fit in a calm dinnertime for my partner and I. It will come I guess. Yes! Our daughter is only 19 months so there’s a lot of this she’s not able to do yet but we have found that the bedtime “routine” which works for all of us is more or less the opposite of what the so-called experts recommend – no bath; cuddles if she needs them; books only when she wants them; always, always, always half an hour of her and her dad and sometimes me cavorting around, shrieking and giggling – this helps to unwind her but also gives her a chance to bond with him every single day, despite him being out at work for most of her waking hours. At the moment, one of us sits in her bedroom and reads until she falls asleep – it’s not ideal as it makes it difficult to go out in the evening but it actually makes bedtime a relaxing experience for us rather than tense one it used to be. And putting her in a proper bed in which we can lie down and cuddle her on those nights that she really needs physical comfort is one of the best things we’ve done; I find the whole idea of caging toddlers away in cots so heartbreaking now that I’ve been there, tried it and discovered how distressing my daughter found it. What about babies though? I have a 7 month old and I struggle big time to get her to sleep. She’s obviously tired but as soon as I put her to bed to sleep she won’t sleep and then seems to get a second wind and then gets so overtired she fights sleep even more. It takes up so much of my time and is very difficult when you have a 4 year old who needs attention too. It’s starting to effect my 4 year olds behaviour because of all the extra time I spend with bub. Any tips?? hey Kaz. Sending love and solidarity first up! Second, are you okay with feeding to sleep? Or putting her in a sling for for the first part of the evening and then putting her in bed when you go to bed? My own second one was a little bit like this for a short period between 7=9/10 months and then she settled down again. Yes I feed to sleep often but doesn’t always work. Have been using the pram a lot too. I don’t seem to have much luck with the baby carrier. Maybe I should give it another go. What did you do for naps? This is exactly what my instincts have been telling me to do, but I keep trying to get bub to fall asleep on her own so I’m “a good mum” crazy right?! That’s the best suggestion to talk to your child before sleep Lucy. It’s the best way to get them to sleep peacefully and to create a deep connection with them. Just simple, but it works every time with my child. Good post – lots to think about and process here! I was lucky that sleep issues didn’t ever feel like a big deal because my kids were home educated and so didn’t need to be up so early each day. I imagine if I needed to make sure they were rested enough for that I’d have been a bit more stressed about it all. We tended to try and all go to bed around the same time – I think a lot of stress comes from feeling like you need ‘child free time’ – we let go of that, we’re all family and there shouldn’t really be a ‘them’ and ‘us’ time. After stumbling across your Facebook page I’ve taken so much from your posts and they’re having such a good impact in our home so thank-you! …one sticking point we do come across in letting our 3yr old decide her own bedtime, is that she wants to sit with us until late, but we like to zone out and watch some tv in the evenings, and often it isn’t appropriate viewing for her. We’ve tried countless time reasoning with her and although I’m sure she does understand, it doesn’t change the fact that she wants to sit with us and so more often than not we end up not watching what we want…and it is a bug bare for us!! Any tips?!? Nope, not tips really, we don’t watch tv that’s not appropiate when the kids are awake, like you, but we just wait for those moments for when the stars align and the kids are asleep and we are awake! Maybe once a week? Could you set her up with something she loves to do? Thank you, just reading this has made me relax. I am/was one of those moms that turned into momzilla at bedtime. I am looking forward to trying these.